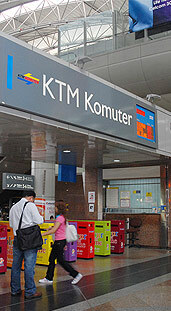 The KL Monorail serves 11 stations located along the southeast and northeast regions of Kuala Lumpur. It connects Stesen Sentral with various locations within the Kuala Lumpur City Centre and Golden Triangle. The nearest monorail station to Kuala Lumpur Sentral is located along Jalan Tun Sambanthan, a five minute walk away. For more information, please visit www.monorail.com.